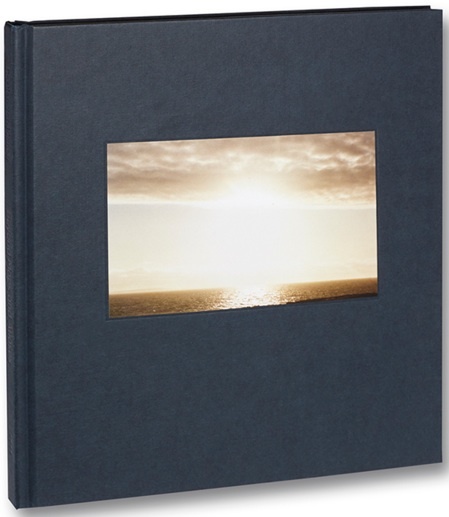 Book Review Beyond Maps and Atlases By Bertien Van Manen Reviewed by Blake Andrews Bertien Van Manen, who recently turned 74, has been photographing for a good long while. I don't want to say she has it down to a routine — on the contrary, she is still full of surprises. But at this point she knows what works for her and what doesn't, and what works very well is to spend a while in a distant foreign place, embed sequentially in local homes, and shoot offhand moments using a simple point-n-shoot film camera. Beyond Maps and Atlases. By Bertien Van Manen. Mack, London, England, 2016. 60 pp., 32 color illustrations, 10¼x11½". Bertien Van Manen, who recently turned 74, has been photographing for a good long while. I don't want to say she has it down to a routine — on the contrary, she is still full of surprises. But at this point she knows what works for her and what doesn't, and what works very well is to spend a while in a distant foreign place, embed sequentially in local homes, and shoot offhand moments using a simple point-n-shoot film camera. Van Manen grew up in a Dutch mining town and is drawn to plain rural communities. "I'm mostly interested in people who don't act like they're interesting," she says. She's covered China, Russia, and Appalachia in this fashion. The specific locales fade in importance. What shines through is her wonderful style, a sort of anti-professional approach incorporating chance, misexposure, crude flash, intimacy, and an eye for the poetic. Beyond Maps and Atlases. By Bertien Van Manen. Mack, 2016. In the past few years Van Manen has turned her gaze to Ireland. The resulting book of photographs, Beyond Maps and Atlases straddles the line between the familiar and the mythic. On one hand they show the Ireland ingrained in popular consciousness: verdant, pastoral, and hemmed in by dark seas. But this isn't the Ireland of pop photojournalism. Instead, Van Manen has twisted the material in her inimitable way into a land of murk, serendipity, salt-of-the-earth characters, and, ultimately, bright beautiful open spaces. She's tapped into the secret subterranean tunnel connecting Russia to Appalachia to The Emerald Isle. Even if Van Manen's photos make the world feel smaller, this book is more physically imposing book than her previous efforts. It's roughly a third larger than Moonshine or Let's Sit Down Before We Go, and far bigger than Easter and Oak Trees. There's a subtle island effect at work in the layout. The photos are wider than before, and float on expansive white pages. The very first image — a diver about to hit the water — invites the reader to plunge right in. A few images of wet spray immerse the reader, followed by several pages of dark brooding scenes. By the time the reader gets his or her head above water they're halfway through the book. After a brief interlude of intimate candid portraits and more lush murk, the viewpoint recedes and brightens, helped along by a nicely light-leaked frame. The scene is set for the last four images — wide-open beaches in open sun. It's the light at end of the tunnel. The mood is transformed. But, but… I thought I was looking at Ireland… What happened to Ireland? The last two lines lend themselves perfectly as the title, beyond / Maps and atlases…, a phrase which captures the remote, fantastical aspect of Ireland. But it's Heaney's verse leading up to that title which is maybe more instructive, a series of discordant forces held in tension. For me they hint at the shifting nature of the Van Manen's photos. This book takes the reader on an unsettled journey from blue sky to cloud and back again, maybe to the edge of life. "At first," she writes, "working in Ireland I wasn’t sure what I was looking for. My husband had died. I dispensed with the people and reflected on the atmosphere. I was guided by a feeling and a search, a longing for some kind of meaning in a place of myths and legends. There was mystery and endlessness at the edge of a land beyond which is nothing but a vast expanse."